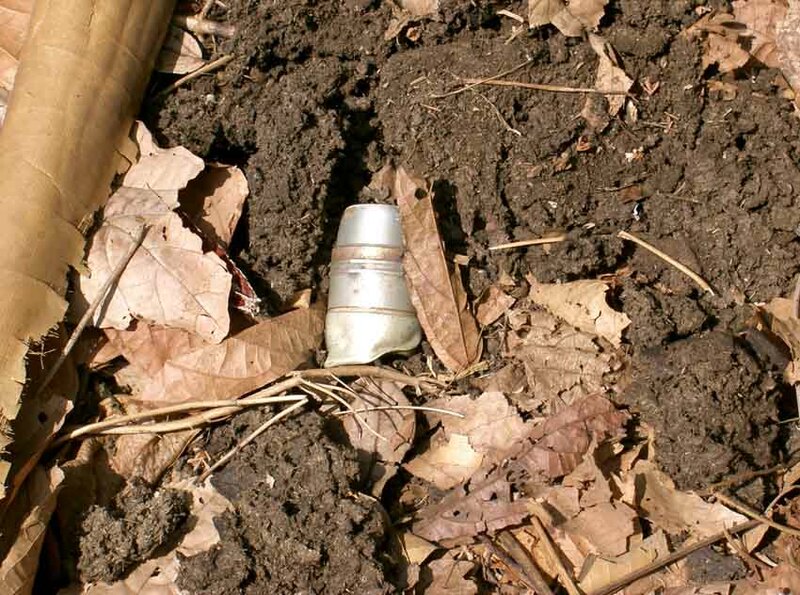 The country of Burma is littered with tens of thousands of land mines because of the war that has been going on there for more than sixty years. The mines were placed to kill and maim people, but people in Burma are struggling with other serious problems like malaria, water born disease, malnutrition, and war itself, all of which causes more deaths and injuries than land mines alone. For this reason, the problem of land mines is not given much attention in local communities where these other serious issues are a higher priority. 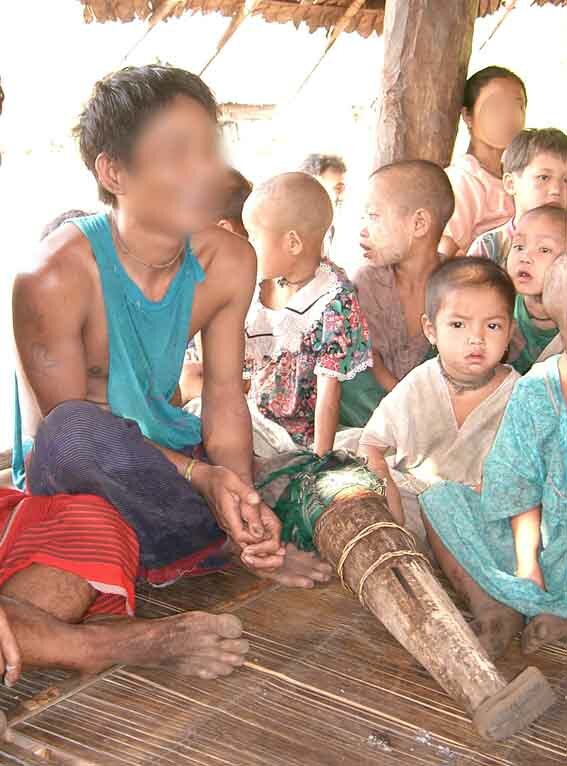 However, thousands of people along the Thai/Burmese border area have stepped on mines and a large part of the population is under the threat of land mines. 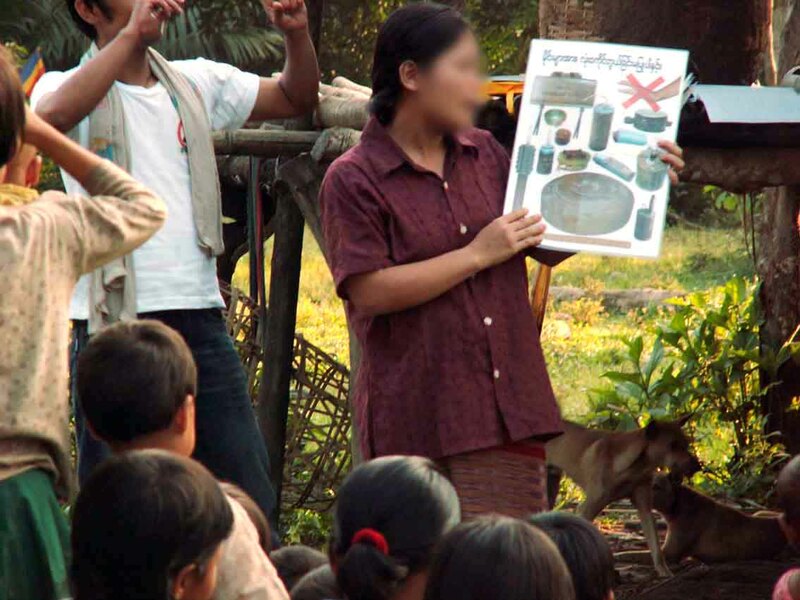 In October 2002, the Mine Risk Education (MRE) program was launched by the Nonviolence International South East Asia office. The program aimed to collect information on the impact of land mines and to provide MRE directly to the people in Burma, Karen State in particular. The program ended in 2004 and the knowledge, experience and manpower of the program passed on to KDHW. In August 2005, the Mine Risk Education Office (MREO) was established as a sub-office of KDHW. 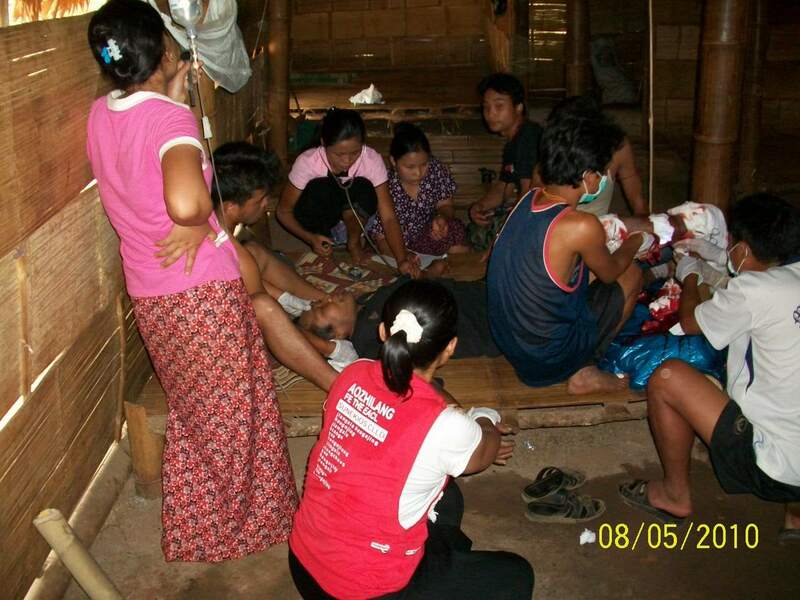 In April 2007, an additional satellite office of MREO was established to address needs in southern Karen State. Mine risk education is a separate issue from mine clearance. Imparting knowledge about how to deal with mines is the only way to protect people from land mines until mines can be cleared from their area. People in mine affected areas need to know signs of the presence of mines, what mines look like, what they should do if they see a mine, how to get out from a mined area and how to rescue someone injured by a mine. 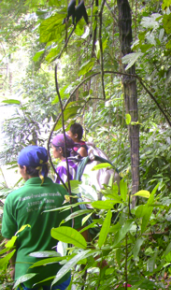 The MREO has three ways to provide mine risk education for people in Karen State. One way is community level direct teaching. 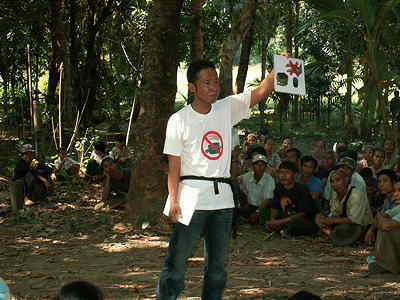 MRE staff visit local communities and conduct mine risk education in front of local people. Each session takes approximately two hours. The second way is the MRE Train the Trainer (TOT) sessions. The MREO conducts TOT for forty to sixty community health workers four times each year. A TOT session takes six days with six hours of teaching each day (36 hours total). 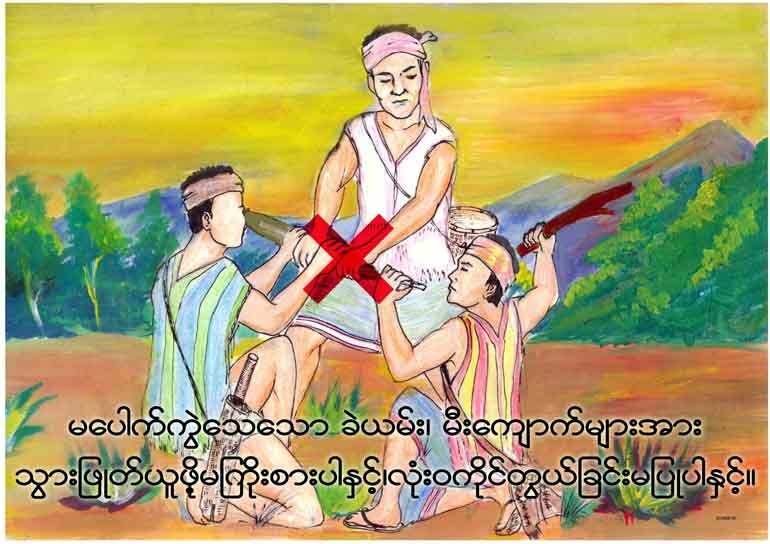 From the end of 2002 until the end of 2010, nearly one thousand Burmese youths, mostly Karen, but also including Burmese, Karenni, Shan, Mon, and Kachin, have received TOT training. The third way to provide MRE is dissemination of materials like posters and booklets. Posters and teaching materials have been created by the MREO for every TOT session. Professional printing is planned for wider distribution of materials that have been modified and selected based feedback from the trainees. 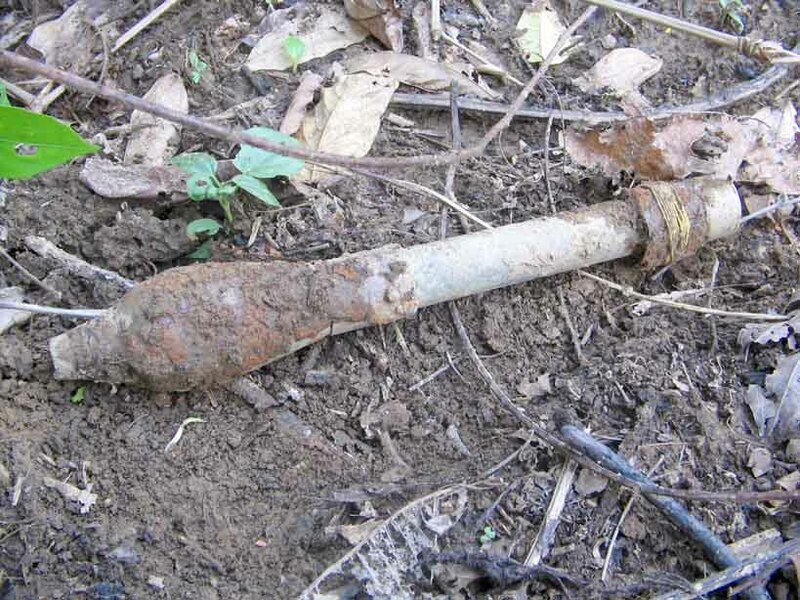 After a person steps on a mine, their whole life is changed. Mine victims face massive difficulties in life from the moment of the accident. They need assistance. 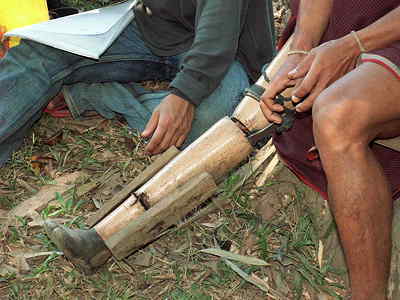 Medical care and prostheses are provided by organizations like the International Committee of the Red Cross (ICRC), Handicap International, and Mae Tao Clinic, but there still is need for other kinds of assistance like emergency transport, and job assistance for income generation. The MREO is building a network of individuals along the Thai/Burma border who freely provide transportation to Thai hospitals for landmine victims. These individuals could do much more with funding support. The MREO is seeking grants to reinforce and expand the emergency transport network. Making cement blocks is easy work if workers have proper materials and skill. Cement blocks are not being produced in Karen State so the Karen people purchase cement blocks in Thailand and take them to Karen State. The blocks are very expensive after being transported by tractor, boat, ox cart and human. Making cement blocks locally will be a good way to generate income. It is relatively easy to obtain good stone for construction in Karen State, but it seems that almost no one uses it or has the skills to use it for construction. The MRE coordinator lived for 15 years in Sri Lanka, where stone is widely used for construction. He teaches the Sri Lankan way of construction, which is well suited to the reality of the situation in Karen State.